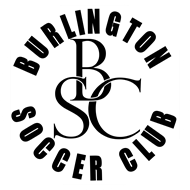 The Burlington Soccer Club is seeking a part-time Administrative Assistant to join the administrative team in managing day-to-day operations of the club. The Administrative Assistant reports to the Club Manager, and will assist on a variety of tasks including managing the player database, communicating with members on past due accounts, preparing financial reports, managing social media, designing a club newsletter, coordinating field scheduling and inclement weather plans, organizing club events such as tryouts and tournaments, and aiding staff and volunteers in a variety of capacities. Pay rate: $15/hr, with no additional benefits. Approximately 20 hours per week, with seasonal peak periods as needed for club events (e.g., spring tryouts, October tournament, etc). Flexible scheduling, but at least some daytime hours highly preferred. The Administrative Assistant/Assistant Registrar reports to the Club Director via the Club Manager and is supervised by the Club Manager on general office and club administration. This is a part-time, hourly position. Maintain scheduled office, field, and event day hours as agreed upon. Assist in management of online player database as well as record and track payments within the database. Complete monthly deposit logs, check requests, expenditure requests, bank statements, and other financial reports of the Board. Assist as assigned in the maintenance of the club website, club-wide email communications, and social media sites. Assist in the maintenance of past due accounts, communicate with past due members, report to the Club Manager, Club President, or Club Director upon request. Conduct general membership services related to initial registration with the club, team(s) and NCYSA or other governing bodies. Perform duties of general member accountability, including persistently communicating with club members related to registering in a timely manner and paying all club related or club program related fees. Interact with Club Director, Coaching Directors, Coaches, and Team Managers on any and all day to day operations as required or requested. Coordinate and complete the periodic BSC Newsletter and send each week/month to the club membership as directed. Provide support when needed for club events, including but not limited to: registration, tryouts and assessments, coachesÃ??Ã?Â¢?? meetings, club hosted tournaments 2 per year, NCYSA State Cup hosted tournaments 1-2 per year. Other duties as assigned or requested by the President, Treasurer, Club Director, or Club Manager. Assist Club Manager with coordinating inclement weather plan and field use including alternate weekend duty for field status. A regular, weekly work schedule is required and will be open to initial discussions with the President, Club Director, and Club Manager. With advance notice, additional hours will also be required at varying seasonal times during the soccer year and around the monthly board meetings to print, file, and verify financial documents. Partial availability during traditional workdays hours is highly preferred. During seasonal peak periods each year, club tasks may require extra flexibility and work hours, including registration and tryouts in April-May, season start in late July-August, and tournament in October. Advance notice required for time off from scheduled work hours, preferably 1 week in advance. Experience utilizing a variety of computer software and the ability to learn new programs or systems. Basic understanding of soccer and soccer operations. Ability to operate typical office equipment such as computers, printers, scanners, and laminators. Ability to quickly respond to requests for assistance. Strong verbal and written communication skills, including proactive communication with a variety of stakeholders, club members, and vendors.